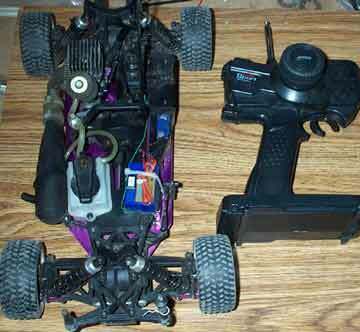 Stock HPI Super Nitro rally with new fuel line, fuel filter, Associated Air filter, Airtronics Blazer Radio, and servos. Engine run only 15 tanks including break-in. Body is cracked and is good for bashing. Car is ready to run, just add fuel and glow starter. Price includes shipping to continental US, international shipping extra. Money order or personal check accepted.